Our Bitcoin (BTC) and Ethereum (ETH) mining calculator is free, simple, and easy to use. You will be able to make a smart investment decision with confidence and peace of mind. No obligations. No more guesswork. No more worrying about whether your investment will pay off. 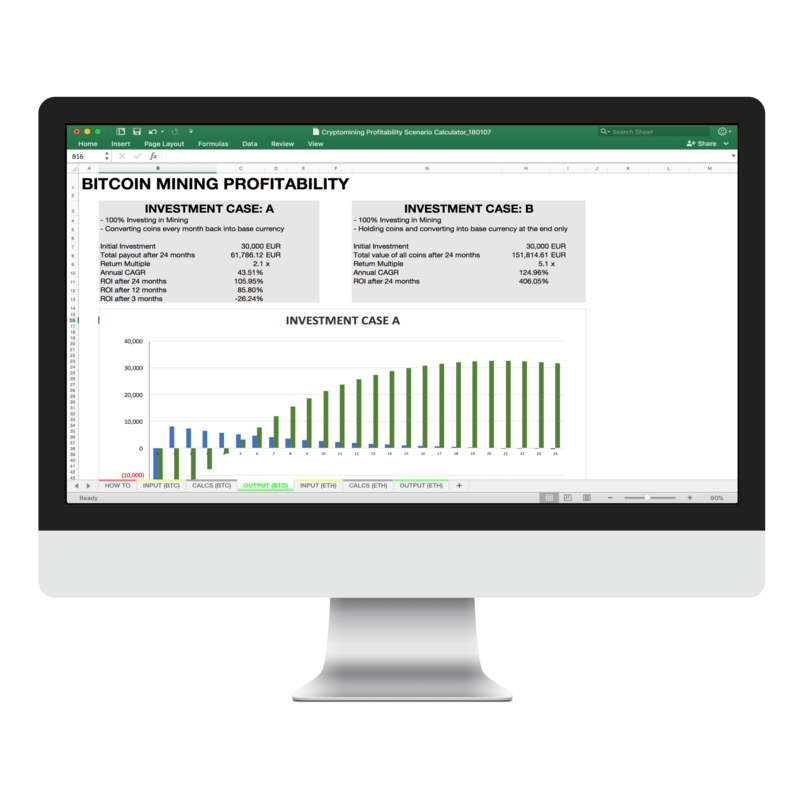 Our calculator protects you from sinking your hard-earned money into an unprofitable mining operation. What Factors Affect Cryptocurrency Mining Profitability? Measures the difficulty of mining a new block. The more miners on a network, the higher the network hashrate. As the hashrate increases over time, the difficulty adjusts upward accordingly. When difficulty rises, it becomes harder to mine new blocks using the same equipment. Conversely, blocks become easier to mine when difficulty goes down. Amount of new coins awarded to miners after successfully mining a block. The block reward represents the steady supply of new BTC generated per block. Smaller block rewards lower the number of coins miners get for solving each block. However, increasing coin prices may compensate for smaller block rewards. The most important mining expense is electricity. The lower your power consumption, the more profitable. When you host your mining equipment with us, other expenses include infrastructure costs, management fees, PCB, controllers, ethernet ports, power supply, fans, enclosures, shelving, and insurance. Funds spent upfront on mining equipment. The higher a miner’s hashrate, and the lower its power consumption, the more profitable. Use our calculator to weigh a miner’s hashrate against its price, setup fees, and energy consumption. Compare different miners on the market. Know for certain how long it takes to turn a profit. Why Use a Cryptocurrency Mining Profit Calculator? Transparent Excel format allows you to compare multiple scenarios. All calculations automatically done for you. Just plug your numbers! This cryptocurrency mining profitability calculator includes input and calculation tabs ONLY for Bitcoin and Ethereum. Calculators for alternate cryptocurrencies are not available in this mining calculator at this time.